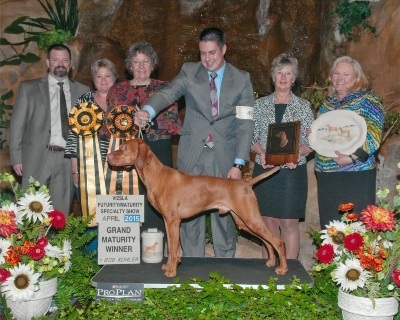 Solaris is a small show kennel operated at our home in West Columbia SC, by our family. 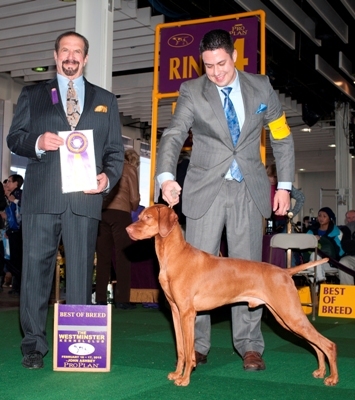 We believe in breeding the best, to the best to produce the best. We devote ourselves to raising and socializing puppies to be the most well balanced companions that they can be while breeding healthy dogs that conform to the breed standards foreach particular breed. 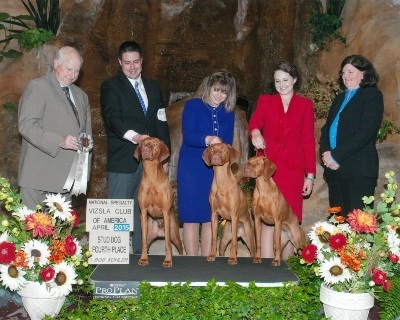 We have bred many conformation champions, field titled and performance titled dogs. We take our relationship with our puppy buyers very seriously and most become extended family. call if you would like to talk dogs, or come visit. 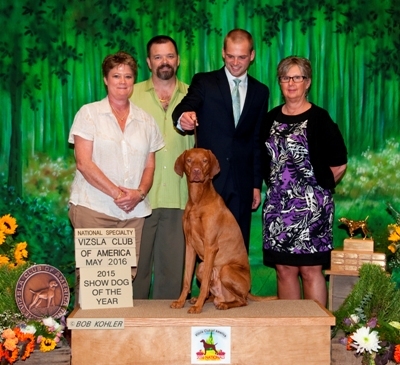 'Whiskey' - 2016 VCA Show dog of the year!